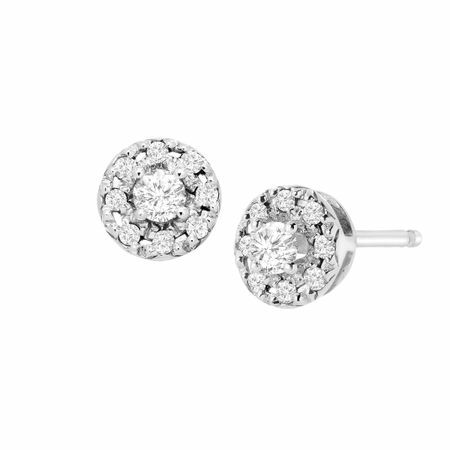 Add a subtle glow to your ensemble with these petite earrings! A total of 1/4 ct round-cut diamonds are set in a halo design around a central diamond, all crafted in circular sterling silver and finished with posts with friction-backs. Pieces measure 3/16 by 3/16 inches.